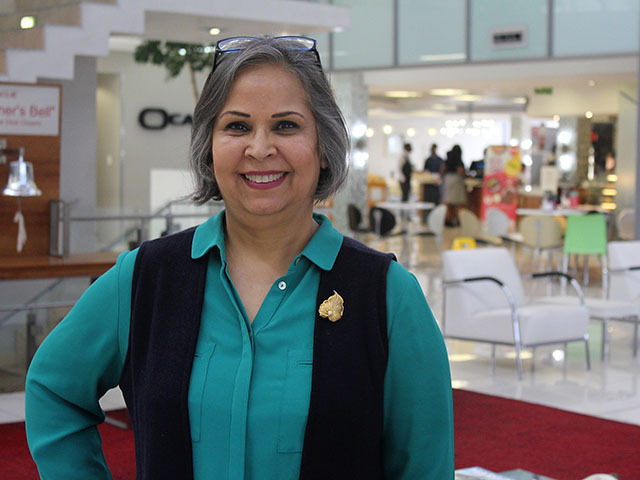 Continuing from part one, Samina Rizwan, the senior director of business analytics and big data at Oracle explored the role of autonomous services further at its offices in Woodmead recently. Beyond discussing its role in self-driving vehicles, and smarter datacenters, she explained its applicability to businesses, as well as offered a glimpse into the future. It’s no secret that data has become, currently is and likely will remain the lifeblood of every business. Rizwan noted that it is not just autonomous cars that will see a fast proliferation in the next two years. She elaborated that Oracle predicts that 50% of all enterprise data will be run autonomously across the world. Furthermore, the company believes that 90% of all business applications will have an imbedded AI component within the next 24 months. How can such a fast adoption rate be possible, and are we as a world ready for AI to be ubiquitous? Rizwan explained that, in context, when electricity was invented it took more than half a century for 65% of US households to adopt it. A couple of centuries later, cellphones reached mass adoption in ten years. A few short years later, smartphones became ubiquitous around the world in five years. “How long do you think it will to take for AI and autonomous services to overwhelm us? Most likely less than two years,” she asserted. This, she maintained, is because the speed of the adoption of technology has exponentially increased. That means that in all likelihood we can look forward to emerging technologies, like intelligent homes, self driving cars, virtual reality headsets, sensor based shopping, and VR based medical related care and surgeries, all becoming mainstream far more quickly than the technologies that preceded it. She continued that two forces either slow, or accelerate the adoption of technology. One of these is the needs of businesses, and the other is the reduction of cost. “Business has become more difficult every day, due to more competition, along with the fact that markets have global access and there are now demands for businesses to react more quickly than ever before. As well, if people have access to your business from around the world, then companies have to be able to service customers globally as well,” she continued. All the above means that business need to be more agile, and they require technology that helps them be both more flexible and competitive. It is here that Renzin believes autonomous cloud provides businesses in this high-paced world what they need, enabling to contract or expand as quickly as they need to in order to meet their market demands. To this end, she reassured that Oracle commits that its service will remain available 99.99% to its customers throughout the year. For businesses and enterprises, the role autonomous services can play is not just in increasing competitiveness, or enabling agility. It also aims to address the very real challenge of cybercrime and the increasing need for organisations to have rock solid cybersecurity. While invisible warfare might sound like a title for a hi-tech sci-fi thriller, in truth, it is happening at the moment every day. “War in the world is not just happening on traditional battlefields, it is occuring on an information battleground. She continued that cybersecurity attacks are taking place so massively, in so many forms, and so prevalently, that it is just not feasible, or effective enough, to try address it with more human personnel. As well, these attacks are aimed at the lifeblood of business, and one could argue, one of the most precious resources in our modern day world – data. It is here that autonomous services, infused with AI, can come to the fore, working 24 hours a day, seven days a week, to protect critical data. The irony is almost poetic: For all the science fiction movies that postulated a war against the machines, in reality, the trend appears to be harnessing machines (AI, machine learning, automated services) to win a war against each other, where data, not land, is being fought over. So then, if autonomous services, AI and the like can address pivotal issues like datacentre efficiency and cybersecurity better than human beings, does that mean humanity will find itself in a war with the machines for their jobs and livelihoods? One one hand, noted luminaries like Stephen Hawking have warned that AI is the biggest threat to the human race. Other opinions, including Rizwan’s, are that AI is not intended to replace human intelligence but rather to support and augment it. “The increased capacity and speed at which AI can make something happen for us, is an augmentation, especially as we hand over the more mundane aspects of our jobs,” she asserted. What this does mean is that the nature jobs will change, particularly those that are repetitive in nature, or prone to human error. “Personally I think the extent of good work coming out of AI can’t be ignored or dismissed. As well, I don’t think the human race will be destroyed by it but rather changed,” she continued. As for businesses, Rizwan points out that neither autonomous services nor AI raises the risk of something going disastrously wrong or creating a negative business outcome any more than that possibility has always existed in human hands. However, both these emerging technologies can herald some profound shifts in society. Just one example of this was a vision that was well detailed by the CEO of Daimler Benz, who noted that if there are 60 000 fewer accidents on the road as expected by viable autonomous driving services, that would mark a sea change for the insurance industry, which would need to adapt accordingly. The use of self driving cars that people don’t own but avail themselves to as needed would eliminate the need for as many parking lots, spaces which could then be used for parks, for example. That too would also change the game for financial services, where car loans could become a thing of the past. So from new ways of working and fending off cyberattacks to enabling more green spaces and more money to spend on what we desire rather than insurance and loans, it sounds like autonomous services can usher in a brighter future in the years ahead. The only caveat is that we don’t irreparably harm the planet in the meantime. But then, perhaps it will be AI and autonomous services that end up addressing that critical damage. If so, in the end, the machines may become not our oppressors, but our salvation.